Brexit – Who is driving Environmental Management? At the risk of putting more white noise into the ether on the subject of Brexit, the CCCA offers encouragement to those who wonder what drivers are out there to keep your businesses sustainability momentum improving. If you are an environmental enthusiast, a champion in your company, or an environmental professional, you may have experienced a dark cloud hovering in the last week. As you search through articles about trade deals, falling Sterling prices and resignations, we wanted to offer our thoughts on where the Environmental Good Ship is headed outside of the EU Directives. What laws are driven by the EU? The EU has influenced many aspects of environmental improvements; from the quality of our beaches to the ozone layer, to waste, carbon emissions, and energy efficiency. Many see the EU as the driving force of UK environmental policy. The EU does not dictate laws, but rather they provide a framework for and set the standards that member states transpose into their own law. EU emissions targets are seen as the most progressive in the world, and many of us have become used to complying with EU directives that brought ESOS, EU ETS, DECs, EPCs – while this looks like a bunch of jumbled scrabble board letters, these acronyms, alongside the heat networks, air quality and renewable energy target drive Europe forward towards becoming energy efficient and meeting its carbon emissions targets. What about the UK Drivers? The UK Government has recently approved the 5th Carbon Budget. This is significant because even after the Brexit referendum, the UK has enshrined in UK law some stringent carbon targets that currently stretch to 2032. These carbon budgets will drive what policies the UK sets in order to meet these targets. The targets are also steep, and in line with E.U targets. So we will continue to see incentives available that can drive energy efficiency and decarbonisation. New Mayor of London, Sadiq Khan has stepped in and unleashed his plans for battling London’s toxic air. Not only is he seeking to extend the Ultra-Low Emissions Zone to the North and South circular, but is also looking to bring forward its implementation, while clamping down on the highest polluting vehicles. The consultation also looks to the Government for a diesel scrappage scheme to help citizens meet the requirements. These proposals and more are detailed in the consultation that went live on the 5 July. A significant date as it is the 60th anniversary of the Clean Air Act of 1956 which was passed by forward thinking ministers following the great London smog of the 1950’s. 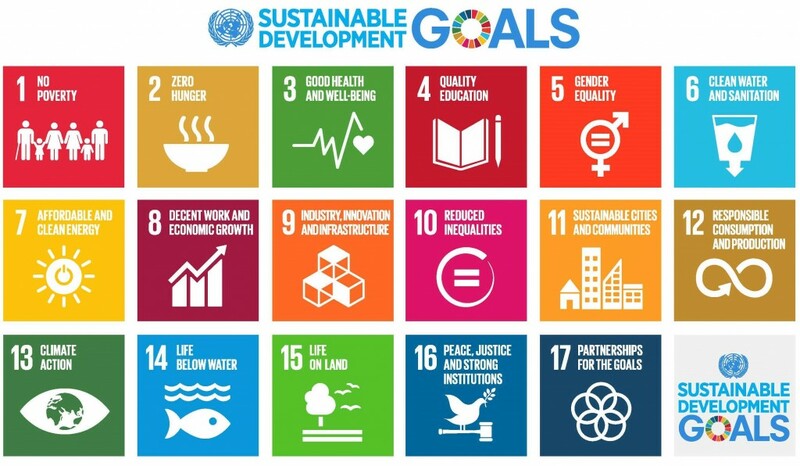 In September 2015, the UK signed up to the UN Sustainable Development Goals, which aims to transform the world through tackling issues as diverse as climate change, gender equality and access to quality education. In December 2015 the UK was one of around 170 countries who pledged to sign, and later in April 2016 did sign the Paris agreement that aims to limit global warming to 2 degrees. Recently, the world’s two primary city-led climate change and energy initiatives, the EU Covenant of Mayors and the Compact of Mayors, announced the formation of a new, first-of-its-kind global initiative of cities and local governments leading in the fight against climate change. This single initiative will create the largest global coalition of cities committed to climate leadership, building on the commitments of more than 7,100 cities from 119 countries and six continents. The UK has over 9 Cities who are a part of this initiative, and naturally includes London as one of them, along with Bournemouth, Oxford, Manchester and Birmingham. Major businesses push ahead and surpass regulation already. They see niche markets, they design new products that are more efficient and save you money. They also want to sell products to the EU market which will still uphold its product standards. There is new business to be won in achieving high environmental standards. Also, these same businesses request their suppliers to adhere to their environmental procurement policy. Here in the UK, businesses such as BT, SKY, Jaguar Land Rover, the National Grid and many more all engage with their suppliers on environmental management. This creates another driving force that results in a cascade of improving standards through the supply chain. These procurement policies are not mandated by law, they are implemented voluntarily, which shows that it is good business to demonstrate environmental management. For many of you in the Camden Alliance who champion the cause of environmental standards, there are still drivers to help you. It is very unlikely that we will see environmental regulations scrapped completely, we may witness streamlining of some regulations and cutting of what is known as ‘red tape’, but not the complete downfall of our environmental regulation system. This would be foolish to do so given the global momentum on Climate Change mitigation taking place. Each month we see a constant stream of articles such as the cost of renewables continues to fall, and billion dollar transnational pacts are being made). However, it seems that due to Brexit there will be a period of prolonged uncertainty at home where a business-as-usual mantra will most likely reign. So in the words of the Second World War, Keep calm, and carry on. The CCCA are here to help guide you along the way. Give us a call as we are happy to sit down and discuss the best way forward for your organisation.